VANCOUVER, BC / ACCESSWIRE / April 4, 2019 / Margaret Lake Diamonds Inc. (TSX.V: DIA / FSE: M85) (´´Margaret Lake´´ or the ´´Company´´) is pleased to announce the Company has received approval for a Land Use Permit (´´LUP´´) valid until April 2024 at its Kiyuk Lake Gold Property (´´Kiyuk Lake´´ or the ´´Property´´). Additionally, the Company has completed a detailed ground geophysical survey. Interpretation of the data is underway and results will be reported shortly. The survey will be used to identify structures in bedrock that correlate with known zones of gold mineralization revealed in past drilling and also help finalize the planned 5,000 meter diamond drill program, which will focus on expanding high-grade Rusty zone along strike and to depth as well as testing other high priority drill targets. Margaret Lake Diamonds Inc. (TSX.V: DIA) is a Canadian junior mining company focused on mineral exploration in Canada´s most prolific mining districts. 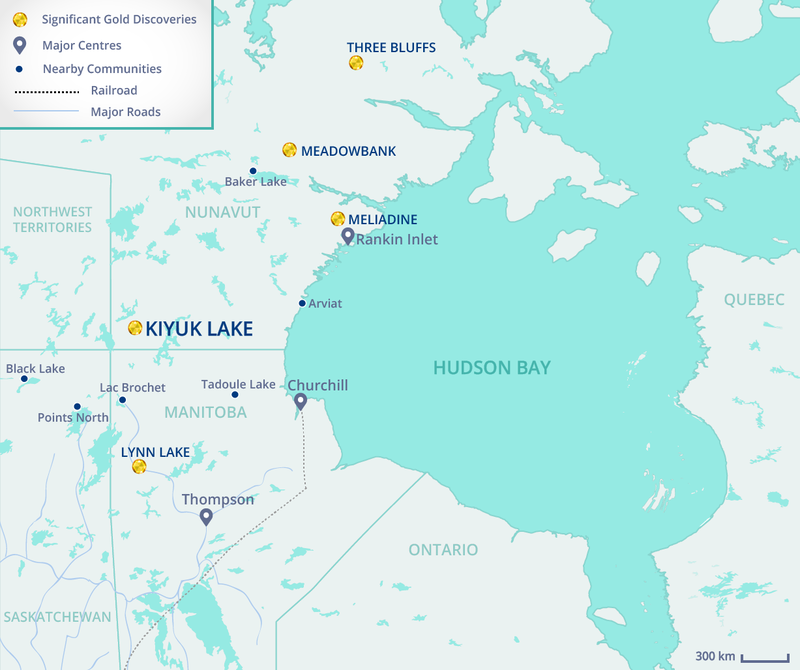 The Company is earning an 80% interest in the high-grade Kiyuk Lake Gold Property located in southern Nunavut and also holds interests in two diamond exploration properties in the Northwest Territories- the Margaret Lake project located adjacent to Mountain Province Diamond´s Kennady North project and close proximity to Gahcho Kué, the newest Canadian diamond mine owned by De Beers and Mountain Province Diamonds. The Company also has a 60/40 joint venture with Arctic Star Exploration Corp. (TSX.V: ADD) to explore the Diagras property, which is comprised of 23 claims totaling 18,699 hectares located in the prolific Lac de Gras diamond field.